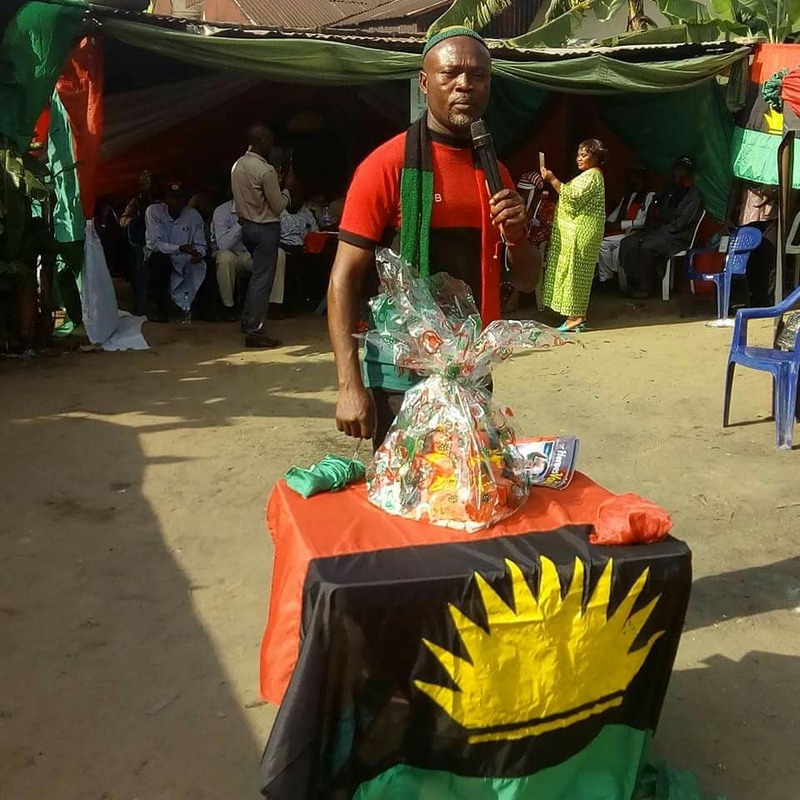 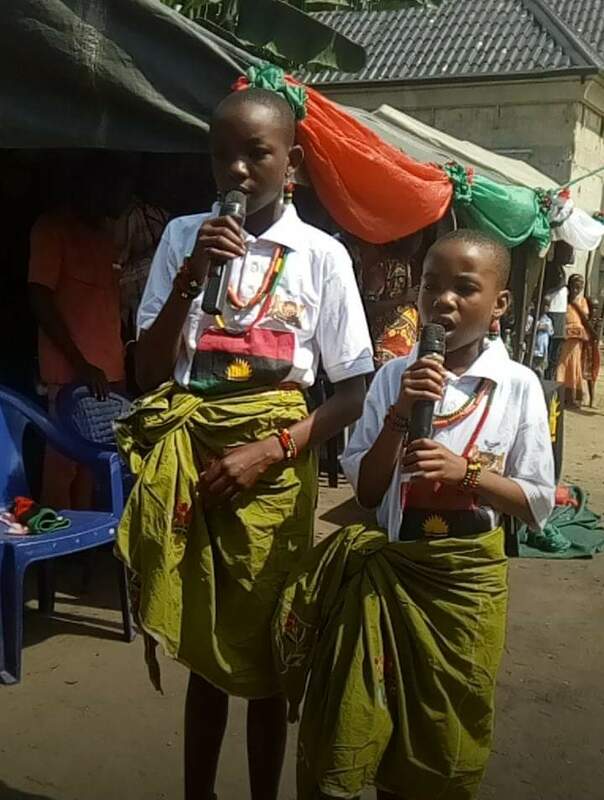 Doggedly living up to it's billings, the family of the Indigenous People of Biafra (IPOB) worldwide, ably led by Mazi Nnamdi Kanu, is increasingly spreading to every nook and cranny of Igweocha (Rivers state), following a well mapped out weekly evangelism program within Biafraland. 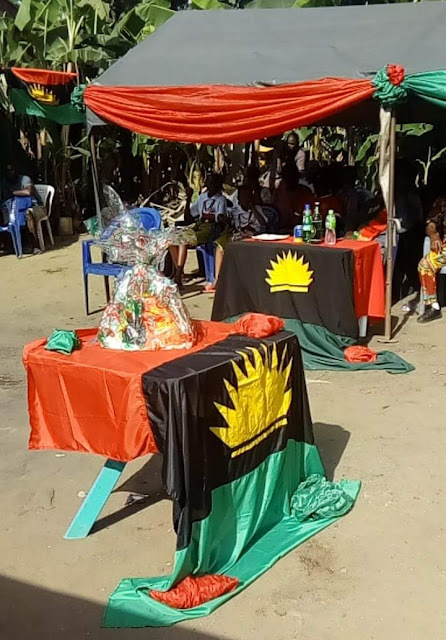 This is preparatory to the the upcoming Biafra referendum. 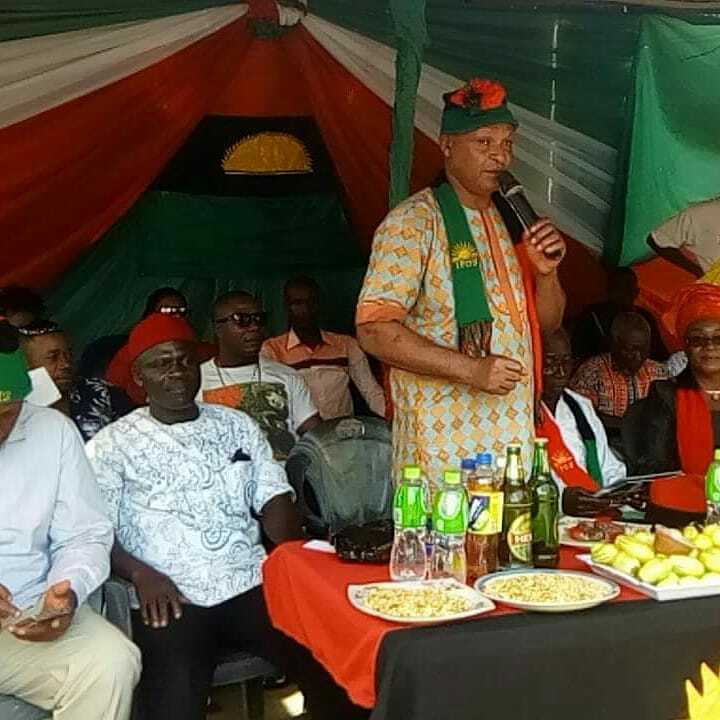 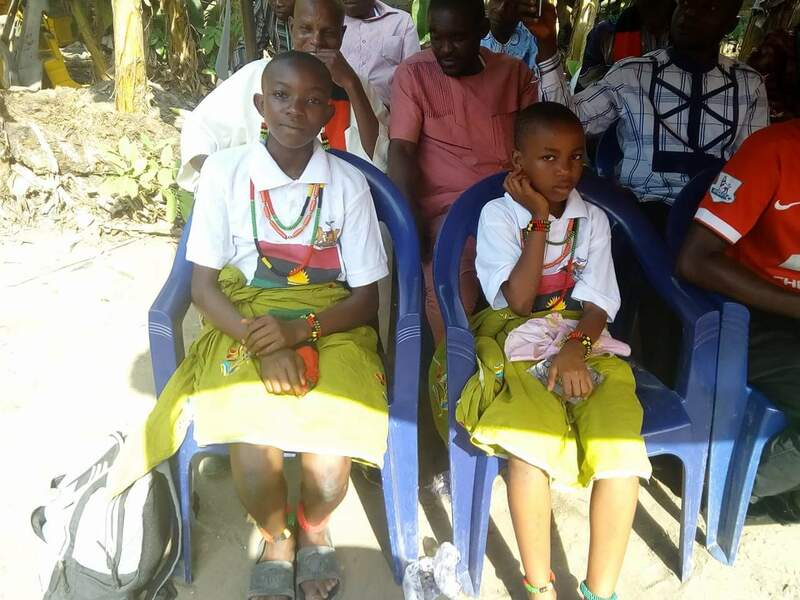 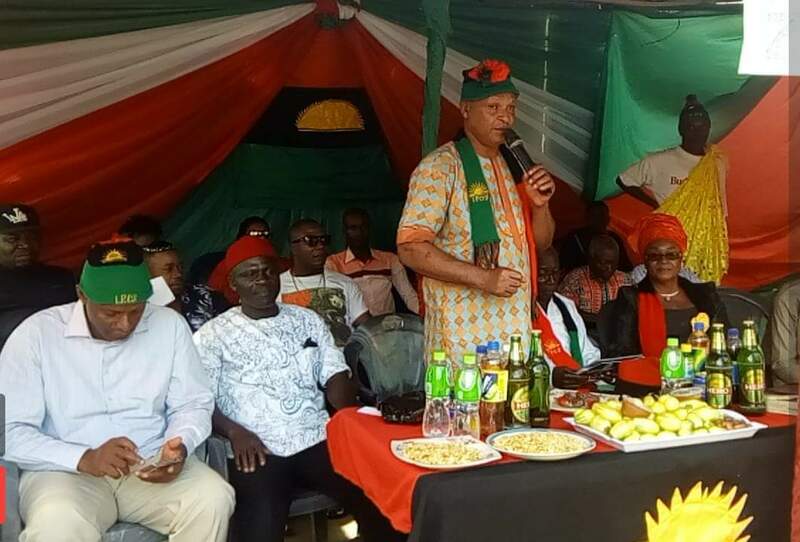 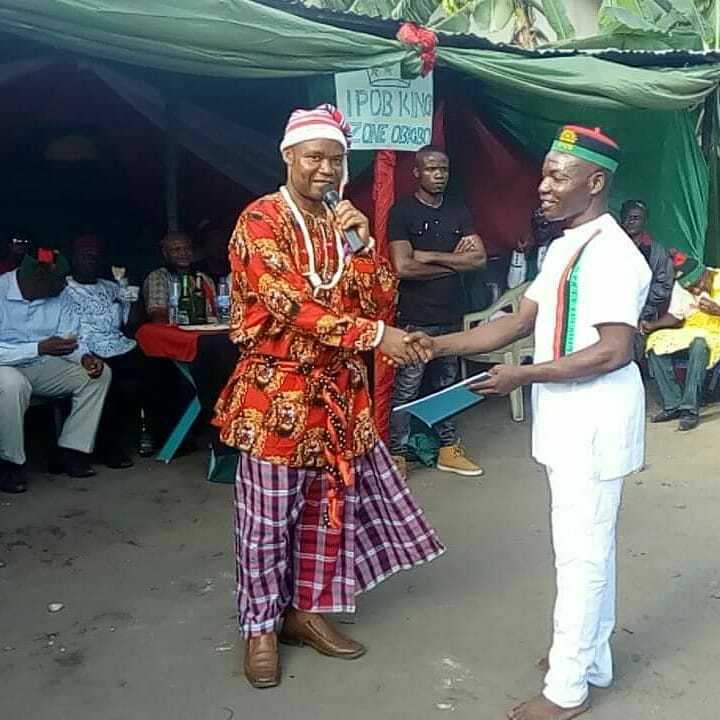 It is heartwarming to report that the Obigbo families of the Indigenous People of Biafra (IPOB), has once again, inaugurated a new zone, crowning their successes in the unrelentless evangelism strategy and sensitization embarked upon in the Local Government Area. The newly inaugurated zone known as "KING ZONE", is the newborn of "Obigbo Market Zone 1" led by the women leader, Mrs. Nkeiruka M. Chikezie. 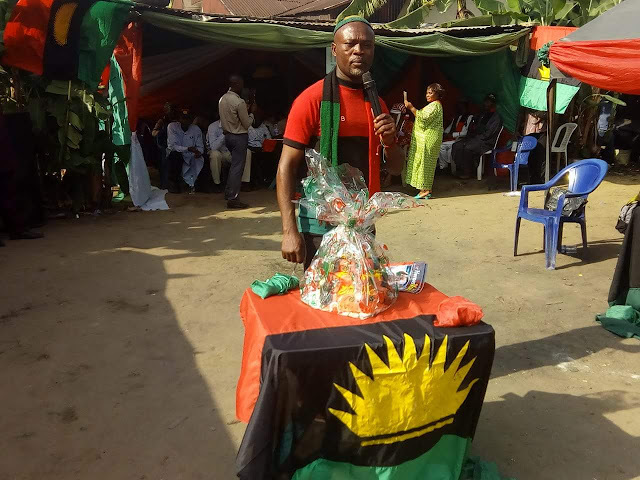 The inauguration ceremony was led by Obigbo Local Government Area Coordinator, Honorable Sunday Onyemachi. He was ably assisted by the inauguration team leader, Mr. Philemon Uluka, other zonal coordinators and executives. 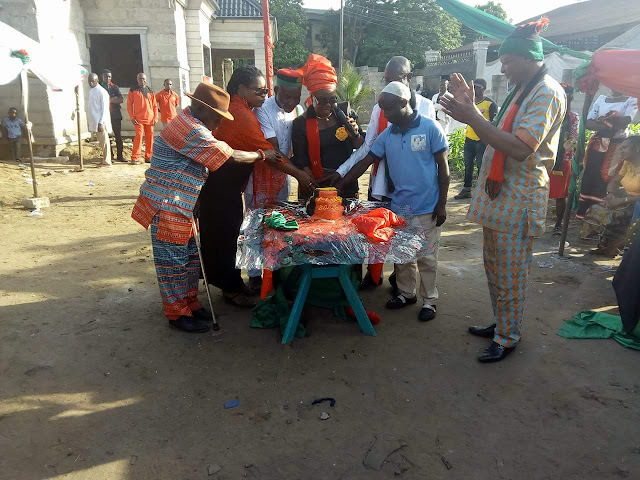 The occasion was exceptionally eventful with Evangelist Matthew, Uche, the zonal welfare chairman and members of the inauguration planning committee, ably credited for wholesomely preparing the ground for the recorded success. The occasion was officially declared open with prayers, followed by the Biafra national anthem perfectly rendered by two little Biafrans from the zone. 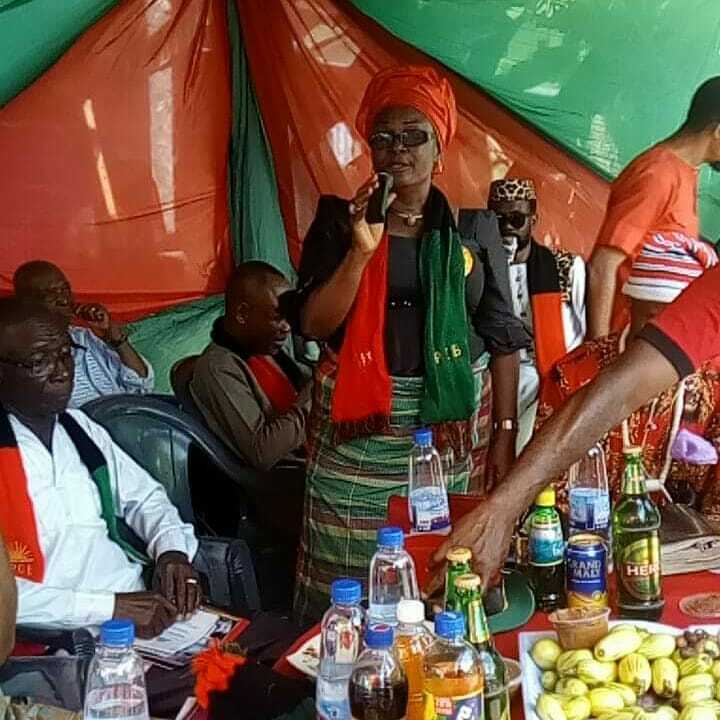 Presentation of kola nuts was made to welcome dignitaries. 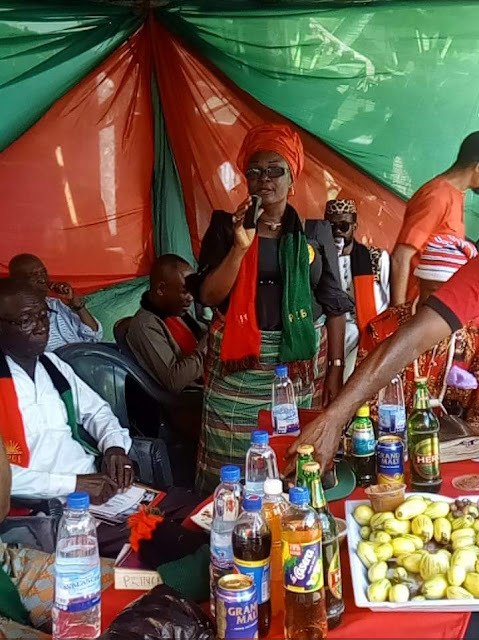 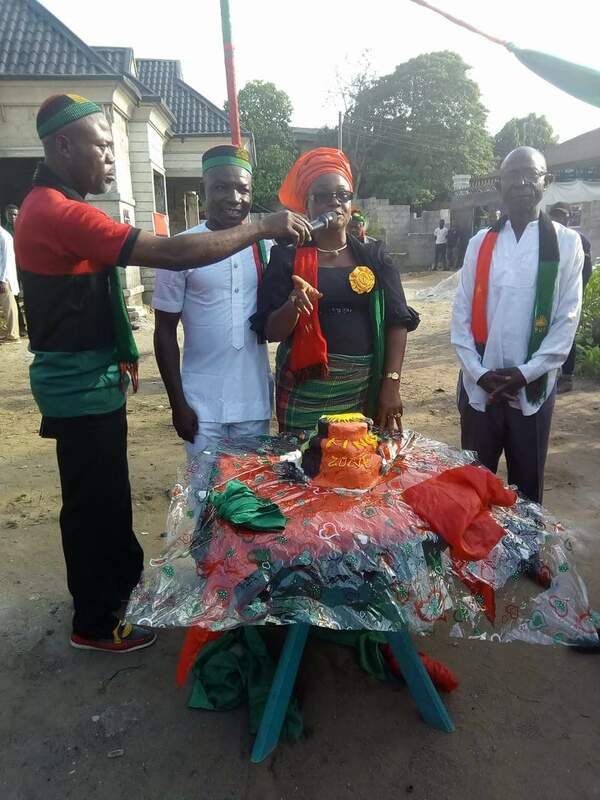 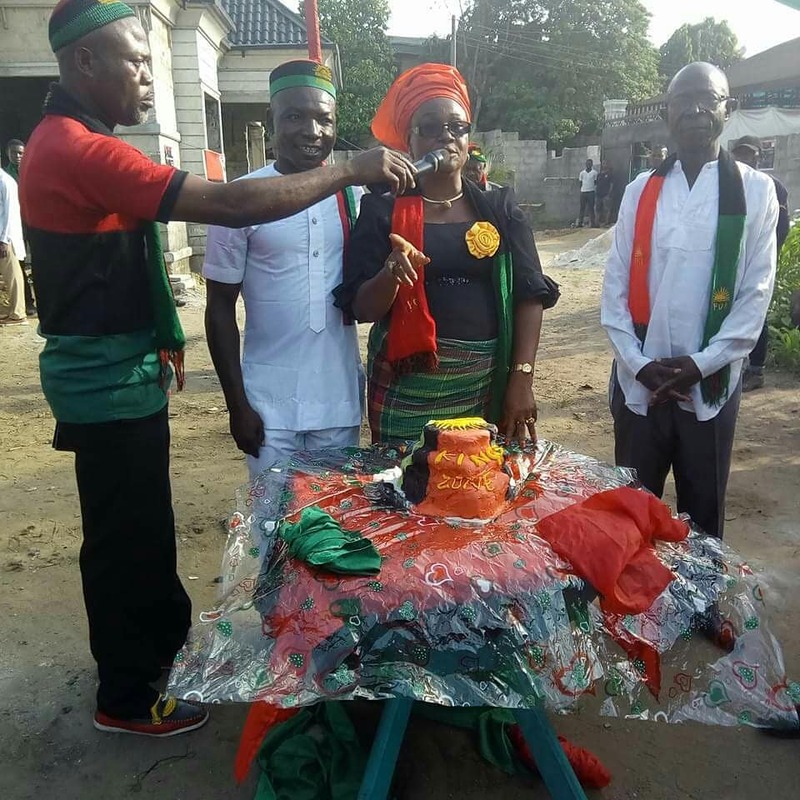 Following the cutting of the inauguration cake, Mrs. Nkeiruka M. Chikezie while addressing the members of the new zone, reiterated the need for sustained evangelism and sensitization of Biafrans as the only pathway to awareness creation. 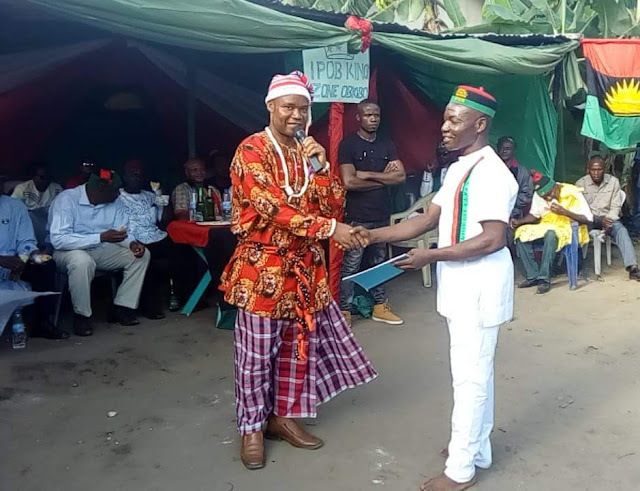 The Coordinator of the newly inaugurated zone, Mazi Barnabas Chukwu, in his remarks emphasized on the task of evangelism and sensitization which must be rigorously driven to appreciable conclusion. This task has successfully commenced and must be accomplished with the full and total restoration of our fatherland - Biafra, he stressed. It is noteworthy here to state that there exists series of inaugurations of new IPOB families since the official declaration of evangelism and sensitization program by the leadership of the IPOB, in readiness for the upcoming Biafra referendum.